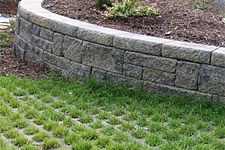 We have the latest environmentally-friendly hardscape products, which provide you with sharp styling and optimum protection against storm water run-off, allowing for the readmission of water into the ground and the natural re-charge of the aquifer. 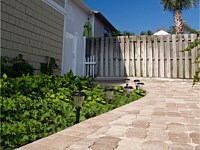 Protect the integrity of your landscape, and increase usable land in residential and commercial holdings. 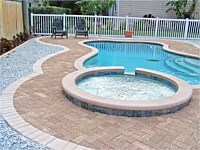 Erosion and drainage are important considerations in any landscape plan. Slopes can contribute to heavy storm water runoff, eroding topsoil and threatening the strength of landscapes and hardscapes. 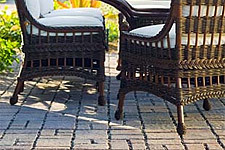 Tremron offers the Green Collection products to protect your designs and maintain the integrity of your landscaping. 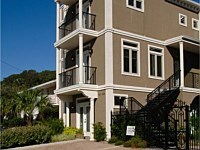 Our products reduce or eliminate storm water runoff, decrease flooding and relieve sewer systems. 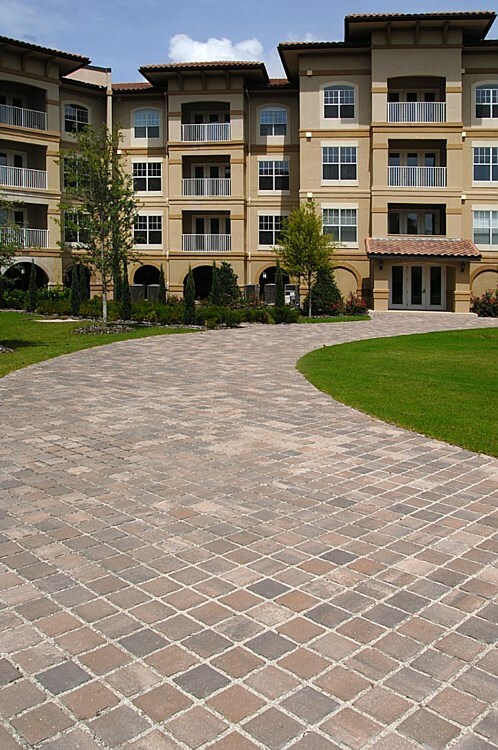 They also provide a sturdy pavement for vehicular traffic and can be used in a wide variety of applications, from fire routes and parking areas to residential applications such as driveways and patios. Protect your projects. 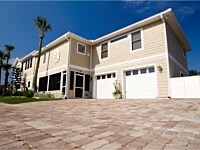 Choose from Tremron's wide array of easy-to-install and eco-friendly green products. 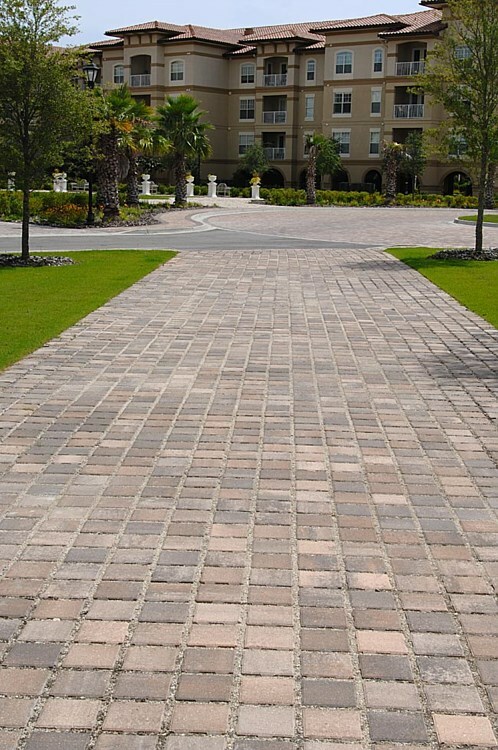 StormPave and RainPave clay brick pavers provide an environmentally friendly option for preserving natural water drainage through a classic segmental pavement. 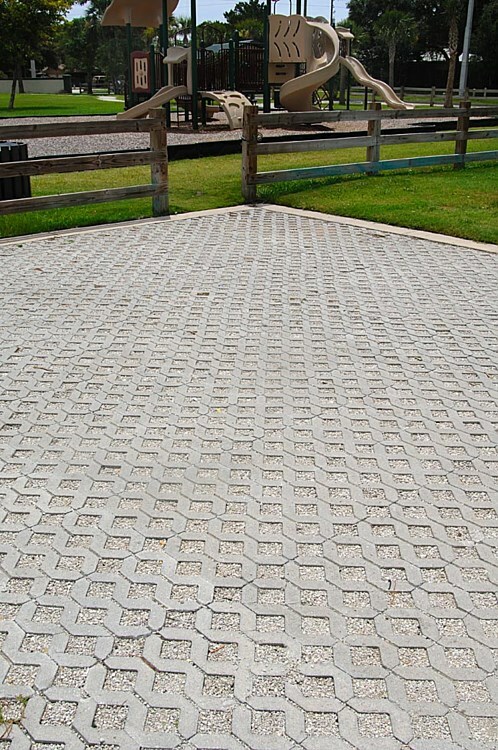 StormPave is ideally suited to preserve natural water drainage in a smooth segmental pavement. 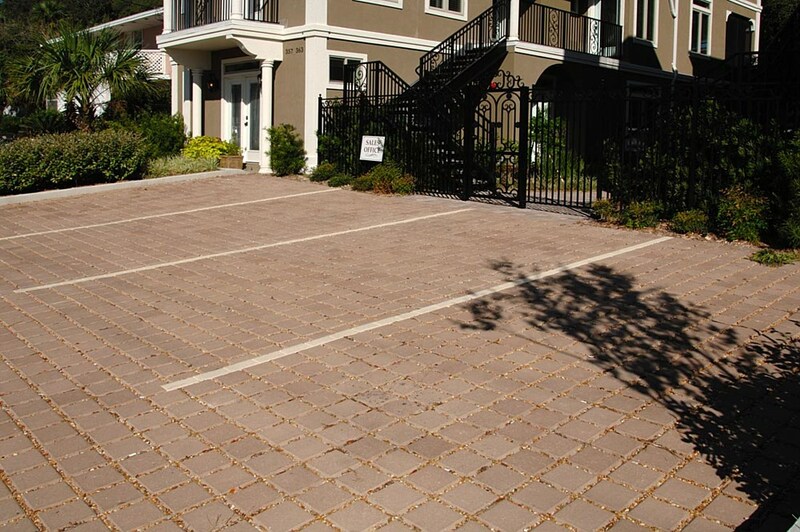 With large spacers for open joint drainage and a maximum opening of less than 1/2", this clay paver meets ADA requirements making it perfect for plazas, pathways, parking lots-particularly at college & university settings where onsite LID storm water management techniques employed. 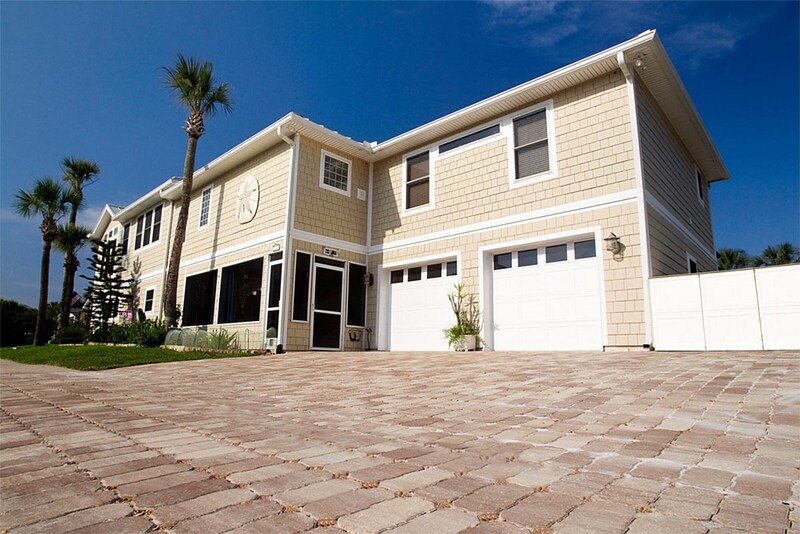 Rumbled for the look of a traditional, antique clay pavement, RainPave is perfect for residential driveways where pervious surface restrictions exist or where onsite retention/infiltration is mandated. 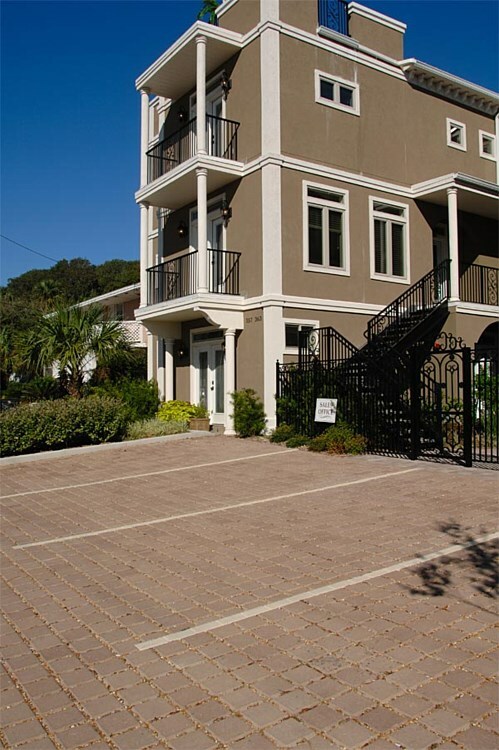 a paving system we can all live withUrban expansion and rapid stormwater run-off is placing tremendous strain on conventional stormwater drainage systems. Existing storm drains, sewers and culverts are becoming overloaded during periods of heavy rain, resulting in contamination of natural water resources. 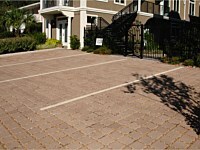 Heavy metals, hydrocarbons, rubber dust, silts and other pollutants are deposited on impermeable surfaces during dry periods. These contaminants are scoured off during periods of heavy rain and transported either to sewage treatment facilities or directly into our rivers and streams, causing severe environmental damage, pollution, poor groundwater quality and overtaxed sewer systems. 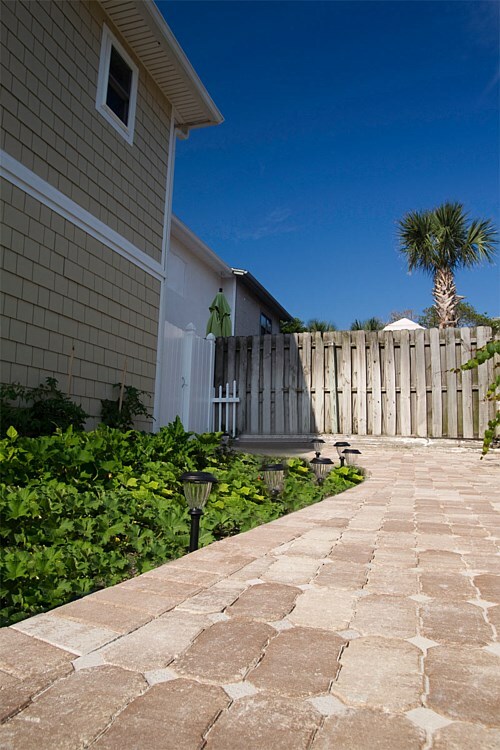 The AquaPave sustainable drainage system allows heavy rains to infiltrate through a permeable interlocking concrete paver surface at an astonishing rate. 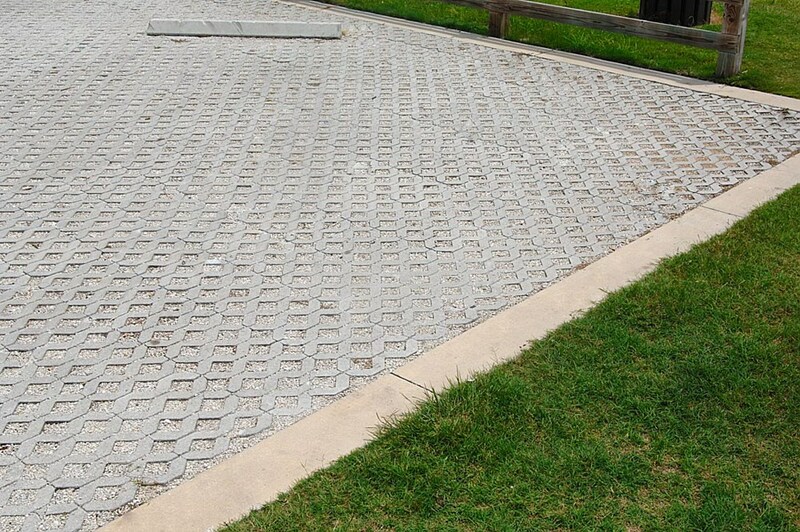 Rainwater drains into a unique sub-base where a layer of Inbitex® geotextile cleans the water, removing most pollutants before releasing it in a controlled manner into the ground below, directing it to existing sewers or capturing it for water harvesting and re-use. 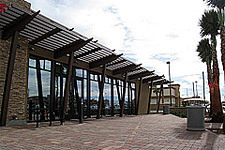 The AquaPave system improves groundwater quality while reducing or eliminating the need for stormwater ponds, infiltration trenches, drains and bioswales. 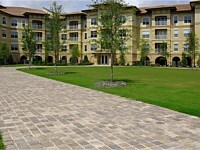 In addition, AquaPave pavers are ADA compliant (Americans with Disabilities Act), making the system ideal for industrial and commercial use, retail centers and parking lots, pedestrian plazas and walkways, residential developments, and any other high traffic, public areas. 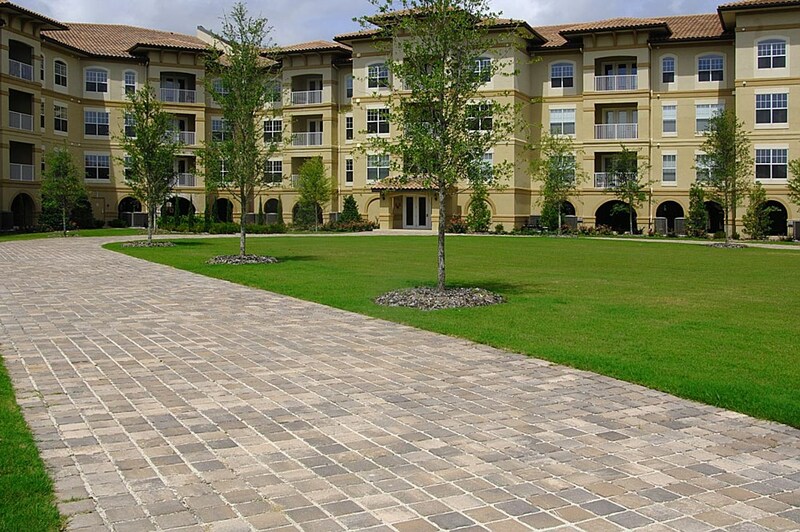 The introduction of AquaPave to Hanson's product offering provides an environmentally sensitive paving solution and is an important advancement toward achieving our goal of becoming the market leader in the provision of sustainable products and services. 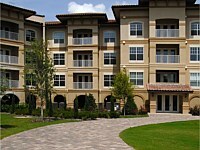 Urban expansion and rapid stormwater run-off is placing tremendous strain on conventional stormwater drainage systems. Existing storm drains, sewers and culverts are becoming overloaded during periods of heavy rain, resulting in contamination of natural water resources. Heavy metals, hydrocarbons, rubber dust, silts and other pollutants are deposited on impermeable surfaces during dry periods. These contaminants are scoured off during periods of heavy rain and transported either to sewage treatment facilities or directly into our rivers and streams, causing severe environmental damage, pollution, poor groundwater quality and overtaxed sewer systems. 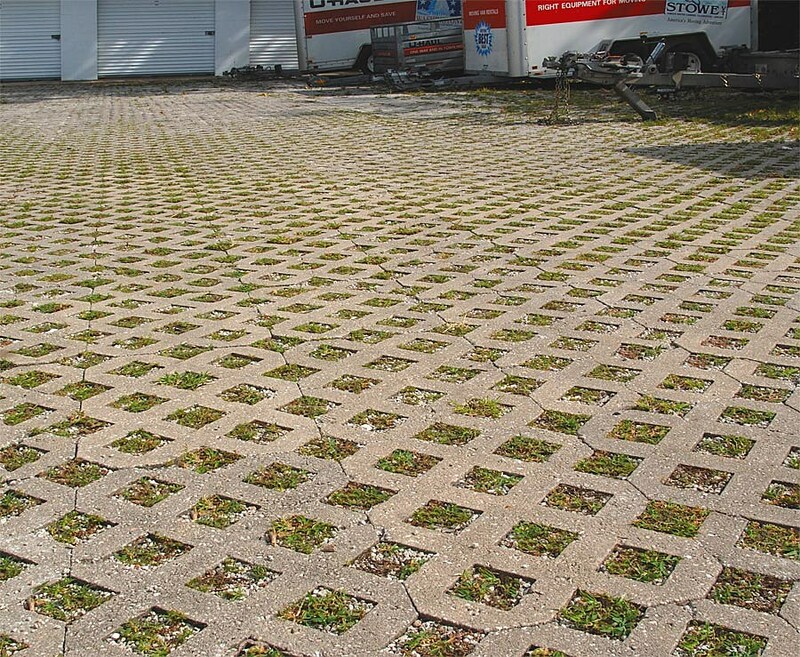 The Aquaflow sustainable drainage system allows heavy rains to infiltrate through a permeable interlocking concrete paver surface at an astonishing rate. 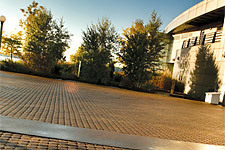 Rainwater drains into a unique sub-base where a layer of Inbitex® geotextile cleans the water, removing most pollutants before releasing it in a controlled manner into the ground below, directing it to existing sewers or capturing it for water harvesting and re-use. The Aquaflow system improves groundwater quality while reducing or eliminating the need for stormwater ponds, infiltration trenches, drains and bioswales. 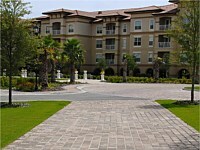 In addition, Aquaflow pavers are ADA compliant (Americans with Disabilities Act), making the system ideal for industrial and commercial use, retail centers and parking lots, pedestrian plazas and walkways, residential developments, and any other high traffic, public areas. 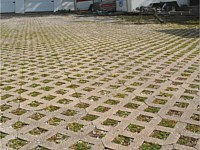 Over the past 15 years, the Hanson Aquaflow System has become the premier system for permeable paving in the UK. 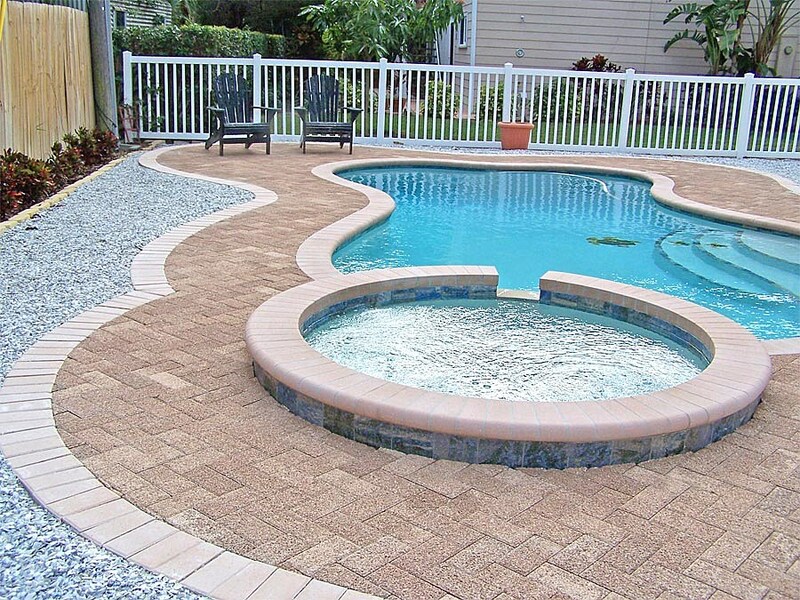 The introduction of Aquaflow to the Florida market provides an environmentally sensitive paving solution and is an important advancement toward achieving our goal of becoming the market leader in the provision of sustainable products and services.